Ab sofort können junge Musiker*innen, Komponist*innen, Game-Musiker*innen und Sound Designer*innen bis 35 Jahre ihre Kompositionen für den Young Talent Award Media Music einreichen. Einreichschluss ist der 1. Juni 2019. 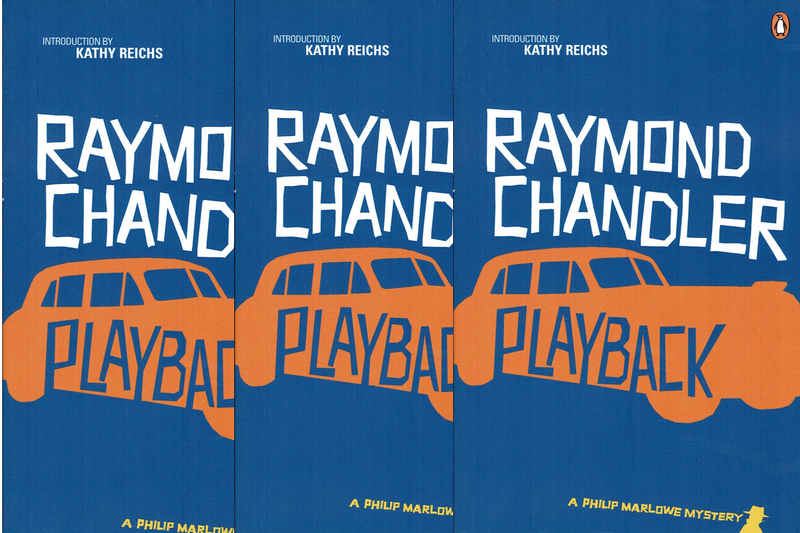 Die Aufgabe in diesem Jahr ist die Komposition einer Titelmusik zu Raymonds Chandlers Roman Playback. Der Preis wird am 14. August 2019 im Rahmen der diesjährigen MediaSoundHamburg (9. bis 18.8.2019) verliehen. Playback aus dem Jahr 1958 ist Chandlers letzter vollständige Kriminalroman mit dem melancholischen Privatdetektiv Philip Marlow. Der amerikanische Autor überarbeitete für den siebten Fall sein gleichnamiges Drehbuch von 1949. Dieses wurde damals abgelehnt und erst nach Chandlers Tod veröffentlicht. Playback ist Chandlers einziger Roman, der nicht verfilmt wurde. Für den diesjährigen Young Talent Award Media Music lädt MediaSound Hamburg junge Musiker*innen, Komponist*innen, Game-Musiker*innen und Sound Designer*innen bis 35 Jahre ein, eine Titelmusik für das renommierte Kaiser Streichquartett zu schreiben. Das gesamte Material, inklusive Audio-Files, Partitur für Streichquartett, und eine kurze schriftliche Erläuterung des Kompositionsprozesses muss bis zum 1. Juni 2019 eingereicht werden. Eine dreiköpfige Fachjury bestehend aus den niederländischen, deutschen und dänischen Komponisten Than van Nispen, Stefan Eicke und Kristian Eidnes Andersen, entscheidet über die Gewinner*innen. Die ersten drei prämierten Kompositionen werden im Rahmen der diesjährigen MediaSoundHamburg bei der Preisverleihung am 14. August 2019 im resonanzraum live vom Kaiser Quartett vorgetragen. Der Gewinner/die Gewinnerin des ersten Preises erhält eine Einladung zur MediaSoundHamburg inklusive kostenloser Unterkunft und Verpflegung. Der Young Talent Award Media Music wird 2019 zum sechsten Mal im Rahmen der MediaSoundHamburg verliehen. Preisträger der vergangenen Jahre waren Lev Tyrnov /Ukraine und Rune Eskildsen/Dänemark (2018), Maxime Hervé/Frankreich (2017), Hayat Selim/Ägypten (2016), Simon Schmidt/Deutschland (2015) und Alin Oprea/Deutschland (2014). Im viertägigen Music Production Workshop (5. bis 8. August 2019) mit der Band Sahad the Nataal Patchwork geben Thomas Görne und Made Indrayana von der Hochschule für Angewandte Medien Hamburg (HAW) Einblicke in die Produktion eines Tonträgers. Veranstalter sind die Internationale Film- Fernseh und Musikakademie (IFFMA) in Zusammenarbeit mit der HAW und der MediaSoundHamburg. 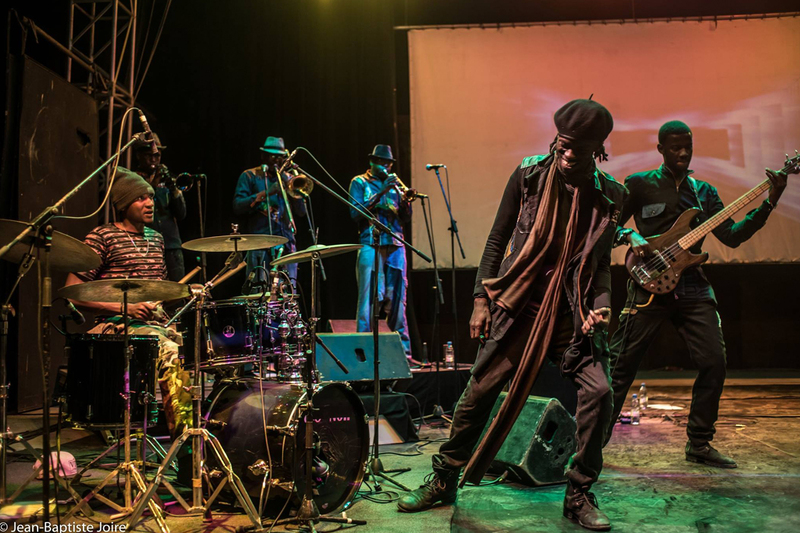 Das öffentliche Konzert mit der bekannten Band aus dem Senegal am 9. August 2019 um 21 Uhr im Resonanzraum ist Abschluss des Workshops und zugleich Start der 9. Internationalen Hamburger Sommerakademie für Filmmusik, Gamemusic und Sounddesign. In Kooperation mit ACCES 2018 (Africa Conference for Collaborations, Exchange and Showcases) schreibt Media Sound Hamburg ein Stipendium für junge kenianische Filmmusikkomponist*innen, Gamemusiker*innen und Sound Designer*innen aus. Walter Murch has had a distinguished career in film as an editor and sound designer. Among many other productions, he worked on The Godfather, Apocalypse Now, The Conversation, The English Patient, and received three Oscars for his outstanding work. In this excerpt of an extensive interview that will be published as part of a book in 2019, Murch talks about how sound designers and composers can work together, and about his experiences on some of the greatest films ever made. Stephan Eicke: Mr. Murch, younger directors seem to be afraid of long stretches of silence in their films, especially when it comes to Hollywood productions. Is there an explanation for that? Walter Murch: Hearing is the first of our senses to be turned on. It is fully active – according to those who know about these things – four and a half months after conception. That leaves another four and a half months where the child is developing in the womb. We also know from ultrasound videos that the child is very active in the womb and reactive to external sounds. But there’s also a very rich internal symphony within the womb, sounds of the mother’s heart and her breathing and her intestines. This has only recently been measured acoustically, and the people who measured this were astonished at how loud it was inside the womb. There’s an average of 75 decibels with peaks around a 110 decibels – which is very loud. And it’s constant. We can presume that the child a few hours after conception doesn’t have any kind of consciousness, but by the fifth or sixth month there is a consciousness. So this consciousness came into being within a sonically rich constant environment without the possibility of silence. The first time silence is ever heard is after the child is born and perhaps in a bassinet in a hospital and is lying there in the dark, hearing nothing for the first time in its life. The absence of sound probably is a very threatening sound, because all of our developed consciousness has emerged in the presence of sound. Because of our biology, silence has a meaning to it that is really the opposite of what we all assumed. Until recently, we all assumed that the child was in a coma in the womb and not reacting to the world. We didn’t know that the hearing was plugged in. We assumed that the child was born and became conscious at the moment of birth. Now we know that that’s not true, that sound is always present. It’s a very rich sonic environment. Silence has this extra radiation to it. Once we get used to life in this particular dimension that we are in, we do find ourselves surrounded frequently by lots of noise. Then silence becomes a relief. It turns to have a positive aspect. But underlying that is this other aspect of silence where, if the mother in fact dies while the child still is in the womb, silence means death and termination. Silence in films is used especially to make the audience feel anxious or at least nervous. There have been many films over the course of film history that have used silence for those same ends. Fritz Lang’s M has no music other than the whistle, Wages of Fear has no music, No Country for Old Men has one tiny piece of string music in it that sounds like crickets, Michael Haneke’s Amour has no music – shockingly it has no music over the end credits. Music is played on the piano and we hear a CD playing but there is no score. What is that? The common theme of all these films is a mounting sense of doom or dread that is empowered by the absence of music. Even in a conventional horror film which was scored by Bernard Herrmann, the presence of that music does scare us, but it does so in a companionable way. It’s as if your big brother is going to scare you. In a sense the music puts its arm around you and says, ‚Now I am really going to scare you.‘ And it does. It does a good job, but you get the sense that there’s somebody there, trying to modulate your reactions, whereas a film with no music […] is abandoning you to your own devices, so that you have to react and have to come to emotional terms with the film without the music being any guide to you. That’s a scarier prospect – if the film is a good film. That’s the key all of these films have in common: they are extremely good films. The construction of the film itself acknowledges the fact that there is no music in a sense. Whereas in big studio productions the audience is bombarded with all sorts of sounds for long stretches of time. That’s true, and that’s clearly a determining factor. It’s also because we can now do this. When I started out 50 years ago, we would just have a dialogue track and no music and no sound effects as we were putting the films together. We had to imagine the film with this compliment of other sounds to it. As time went on we got to the point where we could run two or three tracks simultaneously – one dialogue track, one sound effects track and one music track. Now of course you can run 99 tracks or even an unlimited number of tracks. Because we can do this, this creates an expectation that we should do it. Once the expectation is that you should do it then to not do it becomes a statement. That makes people nervous and uncertain, because they might lose an advantage to some other film which the producer remembers where there was all this music. Studio executives are very busy. They have many projects going at the same time. Their talents are not always to see under the skin of a film. Some of them are very talented in that way, some of them aren’t. So to have an almost finished mix of the film with music and sound effects from very early stages now is becoming the accepted way of doing things. On the other hand, that’s exactly how I worked on THX 1138. When George [Lucas] and I were putting that film together, during the day he would be editing the film to picture with the dialogue track. At night I would be adding the sound effects and music – the temp track – to it. As the film was emerging it had a full music track of sound effects and temp music that I put together from records. Unfortunately, composers and sound designers are rarely able to work closely together on the sonic concept of a film. That’s always been the case. We were a strange bunch of people who left Los Angeles in 1969, primarily because the world that you just described was the world that we saw. That was not what we wanted. All of us had worked another way in film school. So we left and moved to San Francisco to be able to do that kind of extensive cross collaboration. In 1969, the unions were still very powerful in dividing crafts one from the other. We had not worked that way in film school and we didn’t want to work that way. In San Francisco there wasn’t the same kind of strict division of sound effects editors from music editors to mixers to picture editors. When you worked in post production on a film you were all in one group. That’s what suited us because that’s what we wanted to do. In a way the old system never left. The old system is very well suited to a certain kind of industrial product, because everything is clearly defined and everything has its box. You wait until this stage and then you move to the next stage. 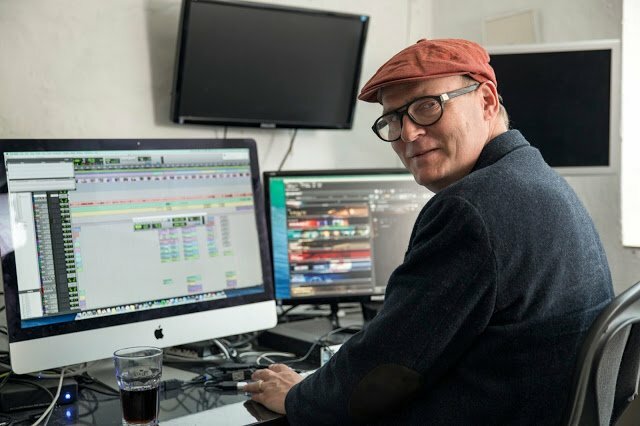 You don’t turn the film over to the composer before a certain point, because that’s the most efficient way to do it from a business point of view – not artistically, certainly. If you gave me a magic wand and said, ‚You can change one thing in the film industry,‘ it would be to get the composer and the sound designer, who ideally would almost be the same person sometimes, to start working on the film even before the shooting. […] I am thinking of Apocalypse Now, where by the time the music was being mixed […] we had developed fairly complete sound effects pre-mixes. We gave them to the music mixers so that they could hear the sounds that were going to be in the film at that point. Francis also encouraged them to steal the sounds from the pre-mixes and then maybe integrate those sounds through processing into the music itself. I did a similar thing with The Conversation. That was part of our mission statement to ourselves – not that we ever wrote it down formally, but in the late 60s we tried to create a broad spectrum between sound effects and music, so that there wasn’t a clear definition between one and the other. On The Conversation, the sounds of the conversation itself and the distorted elements of that conversation worked their way into the music and vice versa. Some of the music distortion effects came and influenced the sound of the conversation. It was very primitive by today’s standards, but it was aesthetically of a piece. I know that this is the way the Coen Brothers work. As they are editing the film, Skip Lievsay will put together a pre-mix of sounds for certain sequences and then give those to Joel and Ethan to integrate what Skip has done into the tracks of the project that they are editing. Then that influences what Carter Burwell does with the music. They are very much on the same wavelength. It is relative simple to do. You just have to decide that this is what you want to do. On certain kinds of films there are a lot of people working on the sound. But it’s really the question of how soon does the sound designer get involved in a project. Ideally, again, it should really be before the film is shot to take advantage of ideas in the screenplay that would produce interesting and sometimes even money-saving ideas, ideas where you can achieve something in sound which tell you that you necessarily don’t have to shoot something if you can create the impression of something through sounds alone. That might save tens of thousands of dollars per item. It takes somebody who is predisposed to think that way from the beginning, or somebody who has been educated by whatever process – by film school or just by the films that he worked on – to realise the advantage of this. Again, I am remembering Apocalypse Now because we were working in a format that had never been used before, what we now call 5.1. I had never even worked on a stereo film, everything I had done up until that point had been mono. I was a little terrified of that prospect, of how was I going to do that and how was I going to avoid any traps that weren’t clear in advance because nobody else had worked in this particular format before as well. I prepared a map for the music and for the sound effects to show where the music would be full 5.1, where it would be only stereo in the front and where it would be mono. Then I did the same thing for the sound effects. They were not always coincident. In fact, sometimes rarely coincident. This was a big help to the people who were editing the music and the sound effects because they could just look at that diagram which ran for the whole film and they could say, ‚What scene am I working on today?,‘ and then they could look and say, ‚In this case both music and sound effects are mono‘, so the sound effects editor now knew the things to do. Whereas for a full complex battle scene – the Ride of the Valkyries – where the music and the sound effects are both in 5.1, clearly I had to spend a lot of time doing that both in terms of music and in terms of sound effects. The reason for that is not only to save time and money, but the acknowledgement that the ear of the audience gets fatigued if the entire film was 5.1. The ear of the audience accommodates itself to that eventually and then expects that to be there all the time. It gets tired of it in a sense, whereas if you can sculpt it, depending on what the content of the scene is, and say, ‚This scene is going to be mono,‘ then during the length of that scene the ear of the audience accustoms itself to mono. So when you open up to stereo, there is the sense that you are hearing something new. When you go from stereo to 5.1 there is another blossoming. People are mostly aware of these things when there is a significant change. To articulate that as much as possible was the goal of that mapping procedure. You did discuss this approach as a team along with the composers though, didn’t you? Yes, the music was written by Francis, Carmine and Shirley Walker. The three of them collaborated. They would write a piano version of the music and lay that down on one track of a 24 track tape. Then this would be given to one of four synthesists who were working on the film. The job of that synthesist was to orchestrate that piano track into a fully dimensional 24 track sound. On Apocalypse Now I was very busy in other areas. I would occasionally go over and watch them. My memory is that Shirley was playing the piano most of the time to something that Carmine had written and that Francis was then modifying. Francis is also musical. He plays tuba, he can read music and loves music and has a vast knowledge of opera and other things. My impression is that Shirley had her hands on the keys and that was what got laid down on that one track of the 24 track. But exactly how they all worked together I don’t know. The orchestration was done by the synthesists. There was also a temp track on the film, but it was used loosely. Mikey Hart and the percussion end of the Grateful Dead did a music track for the entire film. They screened the whole film at a certain point and then improvised a percussion track that went along with the entire film. We had that available to us and that appears several times in the film. I believe Shirley Walker helped out Carmine Coppola on the scoring for The Black Stallion. I wrote the original screenplay for that. My name is not on the film because of various political things which were very painful. But other than that I was not involved in the making of the The Black Stallion. I was working on Apocalypse Now while The Black Stallion was being made. It was a project that Carol Ballard and I worked on. We wrote the screenplay together in 1975. Then Gill Dennis, who I collaborated with on Return to Oz, joined us later that year. We finished a shooting script in January of 1976 and at that point I left because Carol was not happy with that draft of the screenplay. I left to come to England to edit Julia for Fred Zinneman. I worked closely with Georges Delerue. We mostly spoke French. I remember one time when talking about the music for the drive to the mansion in the country, Delerue said, ‚Here I am just going to do write some poussière musical,‘ some musical dust, not real music but just some musical dust, sprinkled on the scene. Would it then be better to have the music first or the sound effects first? I am just speaking about the way I work. With Anthony Minghella and Gabriel Yared, as well as with Francis Coppola and David Shire, we had the music prior to shooting the film and certainly we had the music as the first assembly was put together. Then I would add sound effects. 80 percent of the time it would be sound effects that I felt were necessary to help tell the story, not atmospheric sounds. There are many exceptions to that. The use of the train elevator train in The Godfather during the Sollozzo murder scene is certainly a case where a sound effect was used in a musical sense. It’s like a string section where ultimately the low strings start to be added to the screeching of the breaks, which sound like very high violins. That’s a sound effect that is performing a musical job because there is nothing in the picture that makes you think there is a train in the neighbourhood. In that particular case it was a decision that Francis and Nino Rota had made because until fairly late in the process there was always the intention to have an intermission in the film after the Sollozzo murders, which was at the midway point. Nino and Francis wanted a piece of music to come in after the murder happened as Michael was running out of the restaurant. The big, operatic music would take you into the intermission, then there would be an intermission and then a similar piece would pull you back into the film after the intermission. As a result, Francis and Nino decided not to have any music prior to that moment of the killing which meant that the whole scene, which is maybe four minutes long – half of which is in a foreign language without subtitles –, had no music in it by design. So I thought of adding the sound of a train as something to modulate the emotion of the scene. Did you work closely with Nino Rota on that movie then? I never met Nino. In The Godfather all of the music that’s performed in the film was written by Carmine. Another one of my jobs was to make selections of period music that would be played on the radio. So I went through my vast library of that stuff and made selections of that and presented those to Francis. The crisis with Nino’s music was that Robert Evans didn’t like it. He felt it was too lethargic and too romantic and it needed to be harder hitting. He wanted to get rid of all of the music and have a new score written in five weeks by Henry Mancini. Luckily Francis was able to work Francis‘ magic and convince Evans that this was not a good idea. Evans then proposed a scenario very late in the process where by Evans with a music editor would re-cut Nino’s music and then we, meaning Francis and I, would re-cut what Evans did and then we would preview that version of the film. Then the opposite would happen: We would re-cut Nino’s music and then Evans would re-cut our cut and we would preview that. Whichever version got the highest score that’s what we would go with. The decision came down to who was going to go first. It was clear to anyone who was in that meeting that whoever got to go first would get the prize because there was not enough time to do what Evans wanted. Luckily just at that moment, Ali MacGraw came in, who was married to Evans at that time, and she said, ‚Don’t forget we are going to Acapulco for a vacation.‘ So Evans said ‚Okay, well, you go first,‘ At that point I looked at Francis and Francis looked at me and we thought, ‚Okay, this is a win.‘ When we went back to the studio Francis said, ‚Good luck, Walter, I am going back to San Francisco. Do the best you can!‘ I thought, ‚What?‘ (laughs) I was left alone with Evans essentially and I tried to think of the way he thought. What’s his problem? I loved Nino’s music so the question is why doesn’t he love it? Intuitively I zeroed in on the horse’s head scene which Francis and Nino had written music for that played against the horror. They had carousel music. I thought, ‚Well, maybe in this case Evans has a point. Maybe it plays so much against it… What can we do?‘ I looked at the music which had an ABA structure to it. Then I ordered up another transfer of the music and slid the new transfer one structural unit against itself so that the A plays and the the B plays, but the B plays along with another version of the A so that they are harmonically related but play against each other. Luckily this just exactly coincided with the moment where you see the first bit of blood on the bed. When I called Evans in to listen to this cue he loved it and basically that satisfied him that everything was going to be alright. Talking about The Godfather, it’s amazing, and this is another book to be written, the wonderful congruity that happens spontaneously between one piece of music that’s correctly selected either by the composer in terms of his process or even frequently with temp music. In an ideal sense you find a piece of temp music, line it up with an edited version of the film, select a likely starting point – where she puts the glass down – and run them together. The chances are high that if you have selected correctly the music, the scene and the music will dance together and frequently they will come to an end at the same moment. Why is that? This is a piece of music that may have been written 30 years earlier, performed ten years earlier and now you are syncing it up with a scene that you have just finished editing for a film that was just shot a few months ago. The organic nature of these things work together in miraculous ways. I think it’s part circumstance, but it’s also that both film and music are temporal arts with a high degree of modularity. Somehow the internal workings of a temporal, highly modular art, whether it’s film or music, constrict certain developmental patterns that if you do this, you have to do this, followed by that and then you have do that. And then you have to stop and the piece comes to an end. The difference of course is that music is the most abstract of all of the arts and film is the most specific of all of the arts. The reason they love each other so much is each one saves the other one from the dilemmas. Music relieves film of its specificity and film relieves music of its abstraction. They love to work together to achieve that result. I remember on The English Patient we were still putting the film together and Saul Zaentz the producer, and there was only one producer on the film which was him – and that was great -, had to show 20 minutes or so of the film to theatre owners and get financing. He asked us to put something together and suggested the ending. I said, ‚Well, I put the a-cappella singing at the end.‘ ‚Why don’t you put the Bach at the end?‘ I did and then I thought, ‚Hm, why don’t we put both together?‘ Here’s Bach, written in the 1700s, recorded by Glenn Gould in 1955, and here is a Hungarian folk song written in the 1400s and recorded in the 1990s – and yet they are in the same key and go through the same changes and they come to an end. That’s what I was getting at with the same kind of modularity in some weird inevitable way. If you do this and this and this, then you must do this. It happens with the image as well as two pieces of music simultaneously. This was at an early stage. In the end Gabriel wrote a variation on that. It’s funny because we got the singer Martha Sebastian into the Air Studios up here and played Gabriel’s composition and told her, ‚Just do something.‘ In the end she couldn’t do it. She did something but it didn’t have that magic thing, so in the end we went back to something that she had done a few years previously and just found a way to put them in sync with each other. It’s that trade off between spontaneity and control. Theoretically she had control in the studio and yet that was inhibiting. So the fact that we could take something that was done without any reference to Gabriel’s music and obviously the Bach as well and put them together to give you this funny kind of spontaneity. I was under the impression that Evans did take a lot of music out of the final cut of The Godfather. No. I don’t think in the final version that is the case. That may have been at some point during the struggle. Did you receive any feedback from Nino Rota about your work on his music? No. It was all through Francis. Nino was in Italy and just stayed in Italy. He never came to the United States. I am sure he saw the film, though. There was a controversy about that because many of the themes were written for another film as it turned out. Did you or Francis Coppola know about this at the time the film was made? I don’t know. I certainly wasn’t aware of it myself and I never heard Francis talk about it at the time. I think it was a problem later on. It wasn’t nominated for best music, although it‘ a great score. Mit dem letzten Workshop-Tag der MasterClass Sound Design unter der Leitung des zweimal für den Academy Award nominierten mexikanischen Sounddesigners Martin Hernández ist am 17. Juni 2018 die 8. 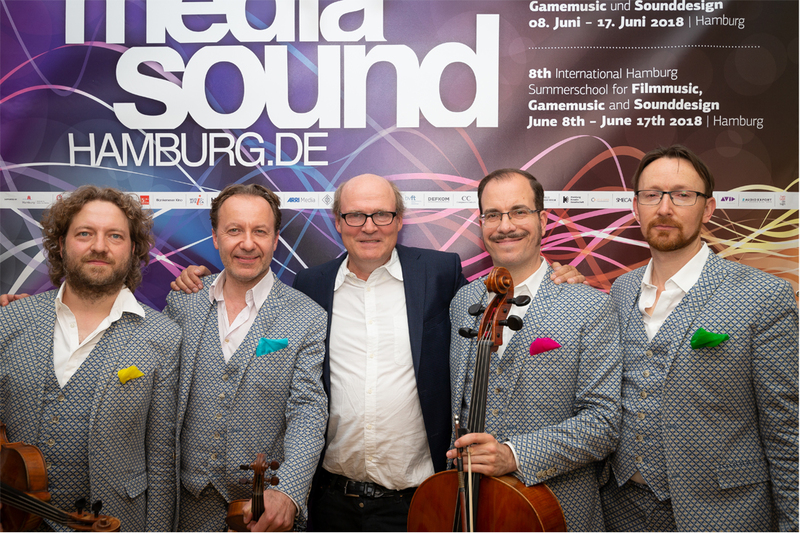 Media Sound Hamburg beendet worden. Zehn Tage lang arbeiteten Filmkomponist*innen, Gamemusiker*innen und Sounddesigner*innen aus aller Welt in verschiedenen Workshops, MasterClasses und Foren an konkreten Projekten. Internationale Branchenprofis und renommierte Expert*innen gaben den Teilnehmer*innen aus 14 Ländern wertvolle Tipps für ihren weiteren beruflichen Werdegang. Insgesamt kamen vom 8. bis 17. Juni 2018 rund 500 Besucher*innen ins Elsa-Brändström-Haus in Hamburg-Blankenese zu Vorträgen, öffentlichen Foren, Preisverleihungen, Filmgesprächen und zur Farewell-Party, darunter auch die Stipendiat*innen Yohanan Bekele aus Äthopien, Louis Edlinger aus der Schweiz, Dora Filipovic aus Serbien, Mert Gencer und Hans Nieuwenhuijsen aus den Niederlanden und Rethabile Nyamate aus Südafrika. »Wir freuen uns riesig, über die großartige Zusammenarbeit und die Unterstützung des Online-Portals Music In Africa. Dank eines Stipendiums konnten wir die sehr talentierte Filmkomponistin Rethabile Nyamate nach Hamburg einladen. Überhaupt liegt uns die Unterstützung von jungen Komponistinnen sehr am Herzen«, sagt Achim Esser-Mamat, Leiter der MediasSoundHamburg. 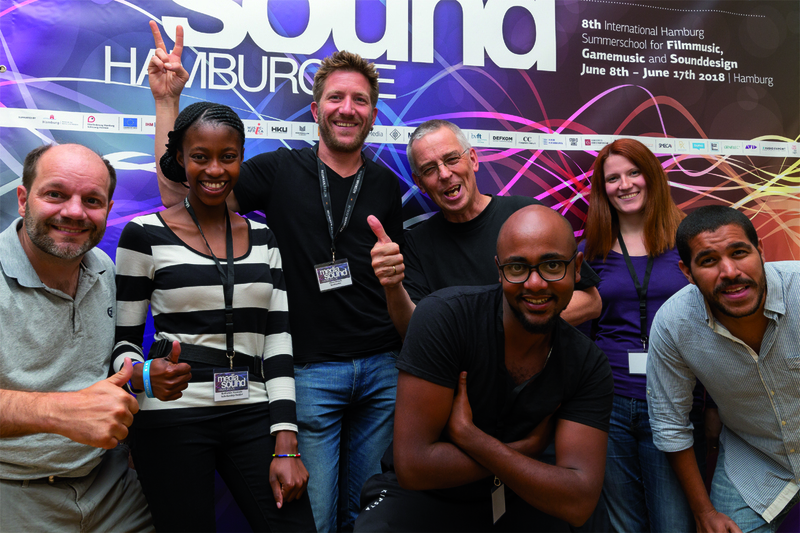 Highlights der diesjährigen MediaSoundHamburg für das Fachpublikum waren unter anderem die Masterclass SoundDesign mit dem mexikanischen Sound Editor und Sound Designer Martin Hernández (Oscar-Nominierungen für Birdman oder Die unverhoffte Macht der Ahnungslosigkeit und The Revenant – Der Rückkehrer), die MasterClass GameMusic mit dem finnischen Komponisten Ari Pulkkinen, der unter anderem die Musik für das Videogame Angry Birds komponierte, die MasterClass FilmMusic mit dem dänischen Komponisten Frans Bak (Doctor Foster, Lilyhammer, Thirteen Steps Down, Kommissarin Lund) und die MasterClass Orchestrierung mit dem Jazzpianisten, Komponisten und Arrangeur Kuno Schmid. Sehr gut besucht waren die Vorträge über Naturklänge, Urban Sound Design, Künstliche Intelligenz und Sound Branding. Zum fünften Mal wurde im Rahmen von Media Sound Hamburg der Young Talent Award Media Music vergeben. Die Fachjury vergab in diesem Jahr zwei erste Preise an Lev Tyrnov aus der Ukraine und Rune Eskildsen aus Dänemark. Ihre eingereichten Werke für Streichquartett wurden am Abend der Preisverleihung vom renommierten Kaiser Quartett uraufgeführt. Erstmals gab es in diesem Jahr den Nordic Media Sound Day mit Filmen und Workshops von Filmkomponist*innen und Sounddesigner*innen aus den skandinavischen Nachbarländern. Unter anderem stellte die finnische Klangkünstlerin Kirsi Ihalainen ihr neues Klangkunst- und Designprodukt KELOSOUND vor, Thomas Lund von Genelec referierte über Loudness Wars & Tipping Point. Zum Abschluss des Schwerpunkttages spielte der Jazzpianist Martin Tingvall einige Stücke aus seinem Programm. Untersützt wurde der Nordic Media Sound Day unter anderem vom dänischen Komponistennetzwerk BFM (Brancheklubben for Film- og Mediekomponister). Parallel zur MediaSoundHamburg fand zeitgleich die Veranstaltungsreihe augenmusik für Schüler*innen, Auszubildende, Studierende, Lehrer*innen, Dozent*innen und Medienpädagog*innen statt. In verschiedenen Workshops, Vorträgen und Kinovorführungen wurde die Funktion von Ton, Geräuschen und Musik im Zusammenhang mit Bewegtbildern beleuchtet. Highlights des Programms waren die ausgebuchten Workshops »Wie entstehen Geräusche im Film« für Schulklassen ab Klasse 6 und die Filmvorführung der internationalen Kinoproduktion Astrid von Pernille Fischer Christensen in Anwesenheit der dänischen Filmkomponisten Nicklas Schmidt. MSH Media Sound Hamburg ist ein Projekt der Internationalen Film,- Fernseh- & Musik-Akademie. Neben der Behörde für Medien und Kultur der Freien und Hansestadt Hamburg sind als langjährige Sponsoren und Partner unter anderem die Fondation SUISA, Buma Cultuur, die Berufsvereinigung Filmton, DEFKOM, der Composers Club e.V., die Interessengemeinschaft Hamburger Musikwirtschaft, Hamburg Kreativ Gesellschaft, HAW und die Filmförderung Hamburg Schleswig-Holstein mit dabei. Die 9. Internationale Sommerakademie für Filmmusik, Gamemusic und Sounddesign findet vom 9. bis 18. August 2019 in Hamburg statt. Am letzten Abend von MSH MediaSoundHamburg 2018 laden wir alle Teilnehmer*innen, Partner*innen und Gäste ein, einen entspannten Sommerabend mit viel Programm und Musik in unserer wunderbaren Location zu genießen. Durch den Abend führt die Schauspielerin und Moderatorin Laura Ehrich. Für die Partymusik sorg DJ MAECK. Wir beginnen den Abend mit unserem traditionellen Werkstattgespräch in Kooperation mit der Filmförderung Hamburg Schleswig-Holstein. Zu Gast sind die Hamburger Filmkomponisten Martin Lingnau und Ingmar Süberkrüb. 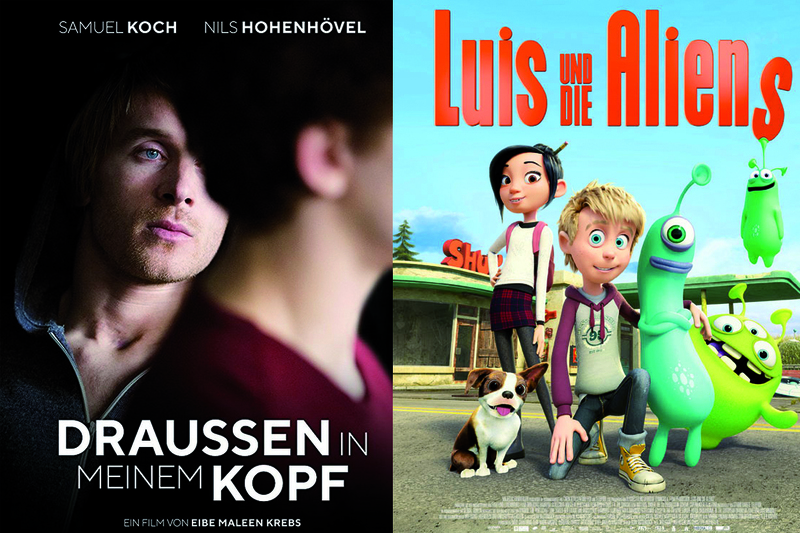 Gemeinsam haben sie die Filmmusiken für den Animationsfilm Luis und die Aliens von Wolfgang Lauenstein und Christoph Lauenstein sowie für das Kammerspiel Draußen in meinem Kopf von Eibe Maleen Krebs komponiert. Im Gespräch mit dem Moderator André Feldhaus und den Produzentinnen Emely Christians und Verena Gräfe-Höft erläutern sie den jeweiligen Kompositionsprozess, sprechen über die besonderen Herausforderungen und über die Zusammenarbeit mit Regie und Produktion. 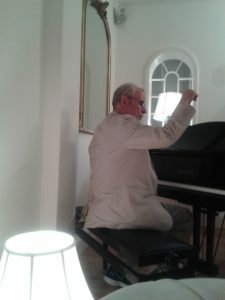 Frans Bak ist ein dänischer Komponist, Chorleiter, Saxophonist und Pianist. Er studierte am Det Kongelige Danske Musikkonservatorium in Kopenhagen und ist als Jazzmusiker ebenso bekannt wie als Komponist von Filmmusik. Er schrieb den Soundtrack unter anderem für die dänische Fernsehserie Kommissarin Lund – Das Verbrechen, die BBC-Serie Doctor Foster sowie das amerikanische Remake The Killing auf Netflix. Zu seinen jüngsten Projekten gehören Lilyhammer auf NRK1/Netflix mit Steven Van Zandt und die britische Adaption des Ruth Rendell Romans Thirteen Steps Down. Frans Bak hat auch zahlreiche Werbespots, Kurzfilme und Spielfilme eingespielt, darunter die drei für den Oscar nominierten Kurzfilme Ernst & The Light, Sweethearts? und Helmer & Sohn.